A new mapping tool is giving wilding tree control groups a complete picture of infestations throughout the country. 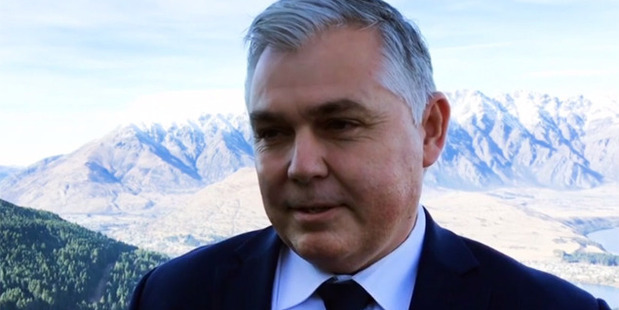 Launching the Wilding Conifer Information System in Queenstown yesterday, Minister for Land Information Mark Mitchell said the tool would ''underpin'' a Government-led programme to control the spread of wilding trees. The web-based analytical tool, which maps and monitors infestations, would be used by Land Information New Zealand (Linz), Ministry for Primary Industries, Department of Conservation, New Zealand Defence Force, regional and district councils and community groups such as the Wakatipu Wilding Conifer Control Group. Based on the Esri GIS mapping software platform, it had been developed by Linz over about two years, in conjunction with Auckland-based IT company Eagle Technology. ''The tool provides for accurate and nationally consistent standards to record data about infestations and control activities,'' Mr Mitchell said. The system included a mobile app for field workers to record information in real time. Wilding trees were affecting more than 2million ha of land, and spreading at an estimated rate of 5% a year, he said. A national programme to remove self-sown trees, spread from introduced wilding species, is in its second year. Conservation Minister Maggie Barry said five new areas covering 371,000ha had been added to the programme for 2017-18, including the Lammermoor Range in Central Otago. That was in addition to the more than 1million ha on which control efforts were carried out in 2016-17, Ms Barry said. The Government is spending about $6million on the programme in 2017-18, along with nearly $2million in funding from other parties. It has allocated $16million for the programme's first four years. The other new areas are Mid Dome, in Northern Southland, Ohau and two areas near Tekapo, in Canterbury.